Grow your network and strengthen your ties–get on the map today! (Honolulu)–Are you someone who cares about our land and water? The Stewardship Mapping and Assessment Project (STEW-MAP) wants to hear from you. Be part of the first intensive effort in Hawaiʻi to take stock of the diverse community of groups that care of our many special places, mauka to makai. Groups who care for our ʻāina and kai are invited to fill out a survey and get recognition for their hard work. They can then be part of a map and resource that will promote collaboration across communities, landscapes, and topics. The project collects survey data to create a public online stewardship database and map of community, civic, and other organizations that mālama ʻāina and kai. On Oʻahu, the project is starting in the Kona and Koʻolaupoko districts with plans to expand in the future. If your group has already received a survey, fill it out today. If not, go to StewMapHawaii.net to learn more and to sign up to receive a survey. Who takes care of this region? Where are there gaps and concentrations of care? Where are groups working, on what issues, and who is working in your community or topic? Being part of stewardship maps and diagrams of your neighborhood, Ahupuaʻa and Moku. Getting students engaged with places that participate in ʻāina based learning. Identifying ways to share information, ideas and other resources with groups, non-profits, and agencies. 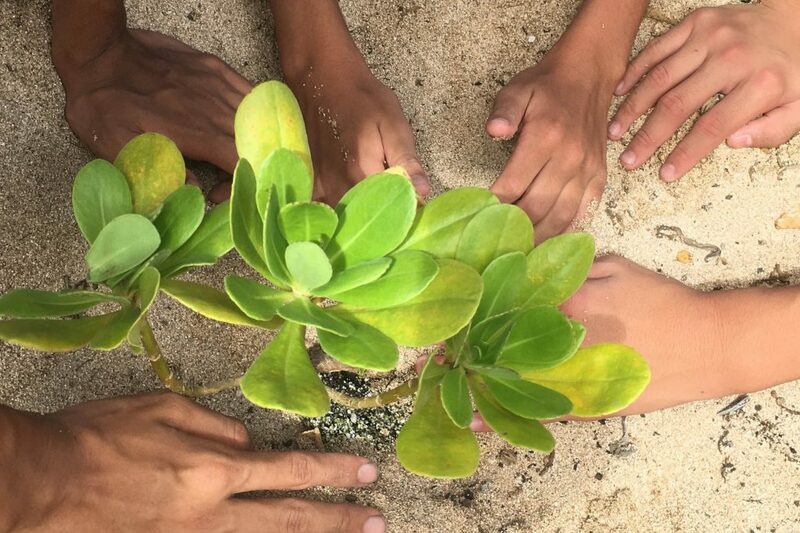 If you are an environmental educator, gardener, canoe club member, researcher, community organizer, if you care for a loʻi or clean up the beach ­­– get on the map. The Stewardship Mapping and Assessment Project on Oʻahu is supported by the USDA Forest Service Region 5 and the DLNR Division of Forestry and Wildlife (DOFAW). It operates in partnership with the DOFAW Kaulunani Urban and Community Forestry Program, and the University of Hawaiʻi at Mānoa; and in collaboration with Kākoʻo ʻŌiwi, Smart Trees Pacific, Paepae o Heʻeia, Hawaiʻi Coastal Zone Management, The Outdoor Circle, Resilient Oʻahu of the Honolulu Office of Climate Change, Resiliency, and Sustainability, Kuaʻāina Ulu ʻAuamo, Pacific Internship Programs for Exploring Science, Travel2Change, Papahana Kuaola, Promise to Pae ʻĀina, and the Polynesian Voyaging Society. Project coordinator Heather McMillen at info@stewmaphawaii.net or (808) 587-0054.